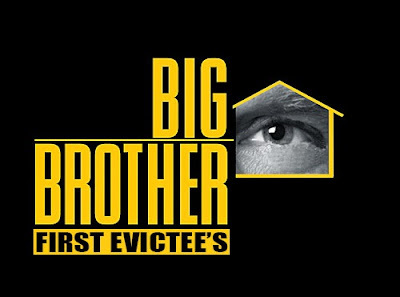 For years I've heard (and said it myself),"Why not a season of first evicted houseguest?" Personally, I'd like to see it instead of a season of All Winners (which we will NEVER happen, but that's for a later post). So I began to wonder, what would that actually look like, a season of first evictee's? If we ever did have a season of first evicted houseguests, it would be the oldest cast in the history of Big Brother. Only 3 out of the 16 houseguests are under the age of 30. The "medium/average" age of the cast would be 37. The oldest houseguest would be Big Brother 2's, Sheryl Braxton. When Braxton entered the house she was 43. If she were to enter the house again, today, she would be 57. Which begs the question, would they even come back? It's obvious that almost anyone from season 10 to now, would come back in a heartbeat. However, for some of these people, Big Brother was 10+ years ago. Some people prefer to leave their "Big Brother Life" in the past. Needless to say, if it ever did happened, which is unlikely, it would definitely be a very interesting and diverse season of Big Brother. So if there ever was a season of "First Evictee's", who would you want to see return? Sound off your picks in the comments below! Also, with Big Brother 17 is fast approaching, Make sure you follow us on Facebook & Twitter to keep up with Breaking News, Rumors, and Spoilers about all things BB17. Big Brother After Dark will air on POP Network, Formally known as TVGN. Check your local listings for channel. I think that would be awesome! At least have a season with more older people. Like a 45+ season.